The LAX shooter was identified later today. Paul Ciancia, from Pennsville, New Jersey and Los Angeles, was wearing fatigues when he went on his shooting rampage. 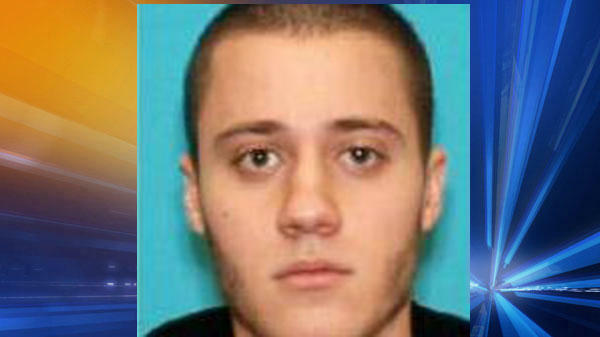 The FBI and Los Angeles Airport Police identified the suspected gunman as Paul Ciancia, 23, of Pennsville, N.J. He had apparently been living in Los Angeles. Ciancia had at least five full 30-round magazines on him, said the official, who was briefed at LAX on the investigation. The official said Ciancia was shot in the mouth and leg by two airport police officers. UPDATE (by Mara Zebest): Ciancia had a least five 30-round magazines on him. But… but… the Left keep telling us that if they limit the magazines—they’ll stop crimes like this. California has a 10-round limit law on magazine capacity—so how did this happen? Guess gun control laws infringe only on the law-abiding and don’t work on those intent on breaking the law… huh?